A video has captured the incredible moment a little girl born with no arms managed to feed herself using just her feet. 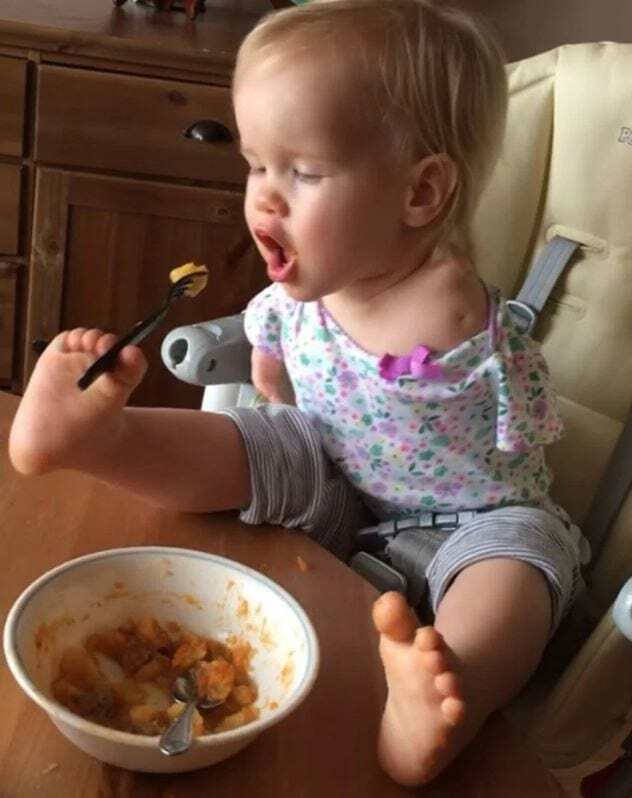 The clip shows Vasilina, from Russia, using her toes to grip her fork and guide it into her mouth. And while many babies feeding themselves with a spoon would end up spilling it all over their face or on the floor, Vasilina manages to successfully feed herself with just her feet – with the food actually making it inside her mouth. Footage of Vasilina gripping a fork between her toes and feeding herself from a bowl of food has been viewed more than 56 million times since her mum posted the video online with the caption: ‘For Vasilina’s fans’. 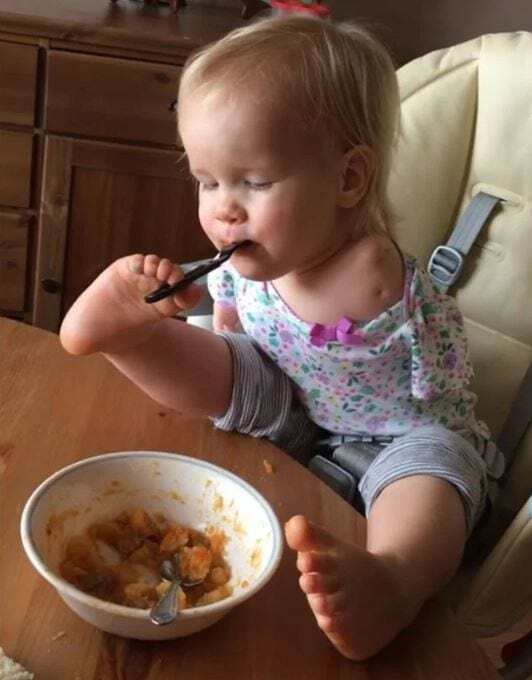 It shows the girl making repeated attempts to get the food in her mouth until she gets it right – positioning and re-positioning the fork with her feet while she does it. Although the video has been online for less than a week, Vasilina’s efforts has gained over 1.3 million shares and 450,000 likes. Since then, she’s been flooded with comments from people calling the baby ‘clever’, ‘amazing’ and ‘genius’. What an inspirational little girl.